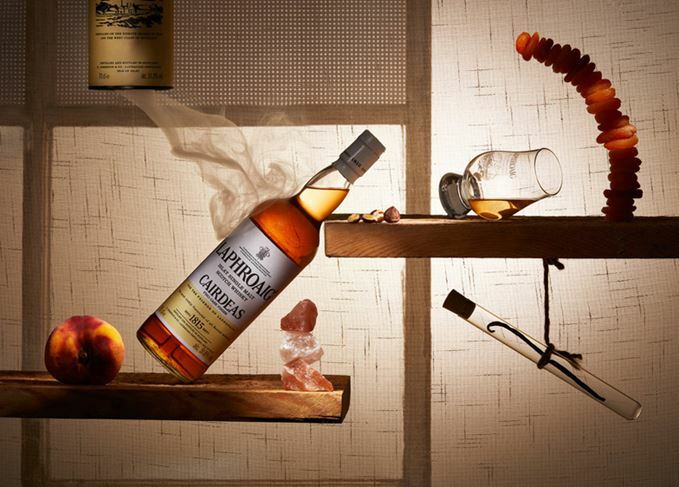 With a growing number of drinkers sharing their drams on social media, whisky photography has exploded in popularity. Felipe Schrieberg shares insights from the industry’s top whisky photographers for those wanting to improve their snapping skills. Photography has become an increasingly important visual medium for whisky, both for business and for fans of the water of life. A quick search for #whisky on Instagram or Facebook reveals a vibrant world of both amateur and professional photography. Whether using the best lighting and cameras for sumptuous shots of whisky bottles, or sharing grainy phone snaps of the dram of the day, more people than ever are sharing whisky experiences through photography. But how can a budding photographer get the best shots of bottles and glasses of whisky, whether to show off a beautiful collection or document a great dramming night out? To answer that question, here’s some practical advice offered by some of the top whisky photographers on creating that perfect shot. All of the photographers emphasise using natural or soft light, without overdoing it. Using light correctly can create (or kill) depth and bring out certain features, especially on glass surfaces. Chris Lomas, who has worked on the Dalmore Constellation series and Macallan’s Lalique series, among others, advises taking your time and analysing your options before starting to shoot. The main lighting challenge faced by whisky photographers is the reflection from the glass. Using soft lighting is the best way to reduce the problems that reflection can cause, but it also brings other considerations. Rob Lawson, who has worked extensively with many whisky brands such as Balvenie, Bulleit Bourbon and Monkey Shoulder, recommends experimenting with light. Botvidsson also has a useful and budget-friendly tip to create the softer light that works best for glassware photos. ‘Shiny stuff loves soft lighting,’ he explains. ‘If you’re on a budget, just get baking or parchment paper, tape it over your flash, and that might just do the trick.’ The more times you fold the baking paper before taping it on, the softer the light. An easy trick that should also deliver some immediate results is to create a shallow depth of field by using a low aperture setting. This means putting the focus of the shot on the subject (the bottle, glass or both), while making the surrounding background blurry to drive the eye towards the subject. Also, remember the ‘rule of thirds’, one of the most important composition guidelines in photography. This rule advises breaking down the frame into both horizontal and vertical ‘thirds’, creating a kind of tic-tac-toe board. The eye tends to be most attracted to objects placed on the lines and on their intersection points. While some of the most popular whisky Instagram accounts get away with mobile phone pictures, investment in equipment is required to create the highest-quality photos. However, it doesn’t have to cost a fortune. If buying on a budget, photographers suggest purchasing decent lenses and lights, rather than the latest camera. Eventually, you might want to consider upgrading or purchasing more equipment. Konrad Borkowski, who has done work for Glenmorangie and Diageo, has an impressive array of gear. ‘I often shoot with three or four cameras for speed, and to avoid changing lenses in often dusty and moist environments, and mostly two or three lights with different modifiers,’ he says. All the photographers stress that ‘less is more’. Carefully consider a shot, rather than shooting many pictures haphazardly. It is better to get the lighting and camera settings right than to apply filters and over-the-top colour correction during editing. Build a picture-perfect Instagram account with tips from top whisky influencers. From Stormtroopers to sushi, these are the instadram accounts to make your news feed next level. A collaboration with Steven Klein, the new expression is inspired by the concept of ‘time’.